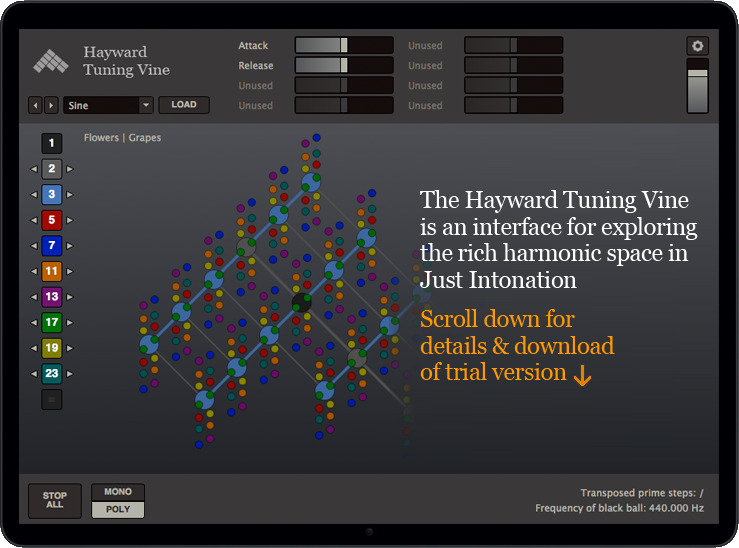 The Hayward Tuning Vine is an interface for exploring the system of microtonal tuning known as Just Intonation. It enables direct and intuitive interaction with the pitches normally hidden between the keys of the piano keyboard. Just Intonation is based ultimately on prime number relationships. In the tuning vine the prime numbers are colour-coded, allowing a clear overview of these relationships, and therefore of the musical intervals. The central 1/1 'fundamental' tone may be set to any pitch in any octave, and a transposition function along each prime number axis allows unlimited exploration of all ratios up to prime number 23. 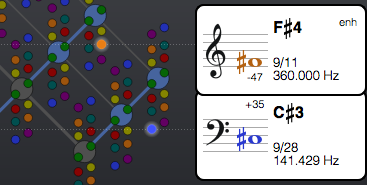 Along with this, the lattice layout allows intuitive interaction by providing an overview not just of harmonic relationships, but of melodic relationships too - the higher the pitch, the higher its position on the computer screen. In the Hayward Tuning Vine, intervals are illustrated with colour as well as Hz, octave position, ratio, and cents deviation from tempered tuning. 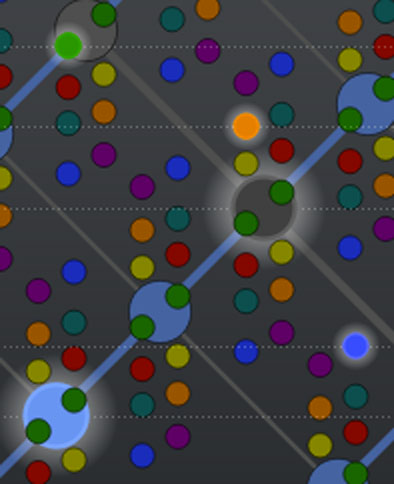 The software microtuner is a virtual space ship for exploring, composing and performing music in Just Intonation. Try downloading the free demo version and find out for yourself how much fun it is! Hayward Tuning Vine is currently available for the Windows & OSX desktop operating systems (and known to work through Wine on Linux). The demo version will time out after a few minutes, giving you the opportunity to try out the software. This licence covers personal use of the software for commercial as well as non-commercial use, and is valid for all supported operating systems. This type of licence is suitable for teaching purposes. Email licencing@tuningvine.com and let us know how many students you would like to licence.